At the height of the British Empire, towards the end of the nineteenth century and when British influence and wealth was flaunted with considerable pride around the world, travel was still considered something of an adventure and often perilous. But it was also a period when women like Mary Henrietta Kingsley, Isabella Bird and Marianne North boldly journeyed far from the comforts and ties of a lady’s place. One of these was Lady Annie Brassey. Although it is true to say that she travelled in certain style and comfort together with a husband, her children, friends and a full ship’s company, Annie was nevertheless equally courageous. Travel in the 19th century could never have been described as easy of course and she suffered from ill health throughout her journeys. But nothing would stop her. In fact Annie’s enthusiasm for adventure was contagious. Her letters to family in England so vividly described the first voyage aboard Sunbeam, her husband’s yacht, that she was urged to publish. 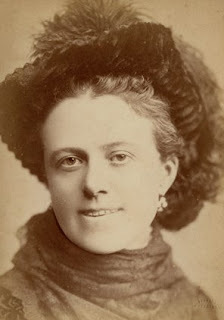 Lady Brassey’s curiosity coupled with detailed accounts of ethnographic diversity, her evident sympathy for humankind and not a small amount of humour made her first journal an instant success. Annie lost her mother as a child and lived her first years with her grandfather in Clapham and her father in Berkley Square. Like so many young Victorian ladies she became interested in botany. At the age of twenty-one she married Lord Thomas Brassey, lawyer, historian, Member of Parliament, sailor, writer of naval books and later Governor of Victoria, Australia. 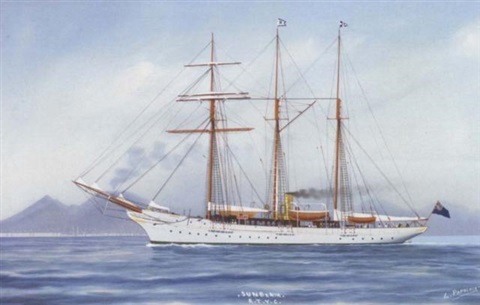 Lord Thomas Brassey’s yacht was launched in 1874. She was a three-masted schooner with iron frame and teak skin. She had been designed for long distance voyages and although primarily a sailing yacht her bunkers carried eighty tons of coal and she could steam for three weeks if necessary. Accommodation for her owners and guests was luxurious, with cabins and staterooms furnished in elegant Victorian drawing-room style. 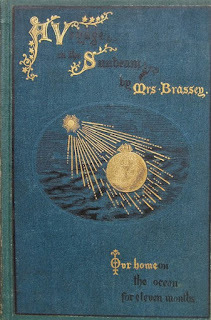 Lady Brassey set foot on many more exotic and remote places than the Canary Islands but she wrote very fondly of Tenerife in The Voyage in the Sunbeam, our Home on the Ocean for Eleven Months, which was published in 1878. Of course, Tenerife today is one of Europe’s favourite holiday destinations. It is dotted with modern marinas and her seas are saturated with pleasure craft and small and medium sized yachts but in the nineteenth century it was very rare to find ships of a private nature sailing the oceans. Sunbeam must have been a glorious sight as she approached from the northeast. “We all rose early and were full of excitement to catch the first glimpse of the famous Peak of Teneriffe” Lady Annie Brassey wrote on 21st July exactly 142 years ago, the morning before they dropped anchor off the coast of Puerto de la Cruz. Always a lady of action and determination Lady Brassey volunteered with Captain Lecky, as soon as they could be rowed ashore, to visit Mr Goodall, the British Vice-Consul in Puerto. 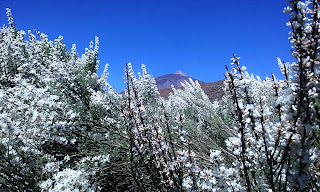 She planned to make arrangements for an expedition up Mount Teide immediately and in fact they set off at two o’clock the following morning after they had assembled twelve hired horses and guides. 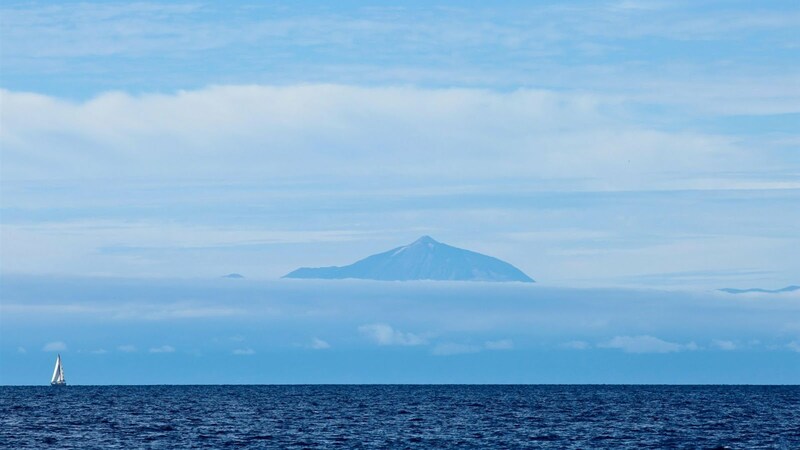 By half past seven they were already above the sea of clouds which Annie described as resembling “an enormous glacier, covered with fresh fallen snow, extending for miles and miles while the projecting tops of other Canary Islands appeared like great solitary rocks”. 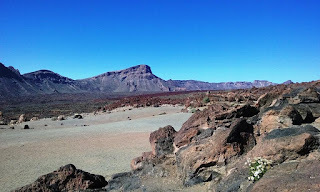 "It was like the Great Sahara"
She wrote of the oppressive heat as they rode through what local inhabitants call Las Cañadas del Teide. “It was like the Great Sahara” she exclaimed. 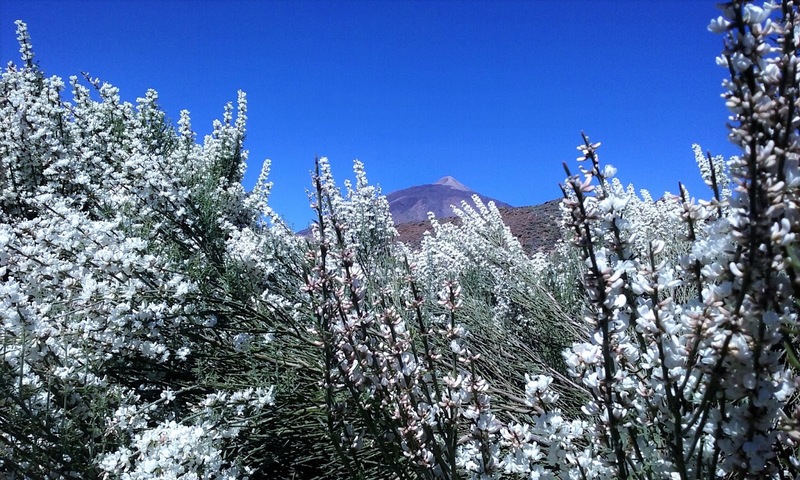 She mentioned huge rocks of obsidian thrown from the mouth of the volcano and then the remarkable scene of bushes of yellow broom and the beautiful Retama in full white bloom “scenting the air with its delicious fragrance, and resembling huge tufts of feathers”. When the expedition reached Altavista, a plateau where Astronomer Royal for Scotland, Charles Piazzi Smythe had set up his telescopes in 1856 and where another Briton, George Graham Toler was to build the first climbers’ refuge, Annie Brassey decide not to go any further. 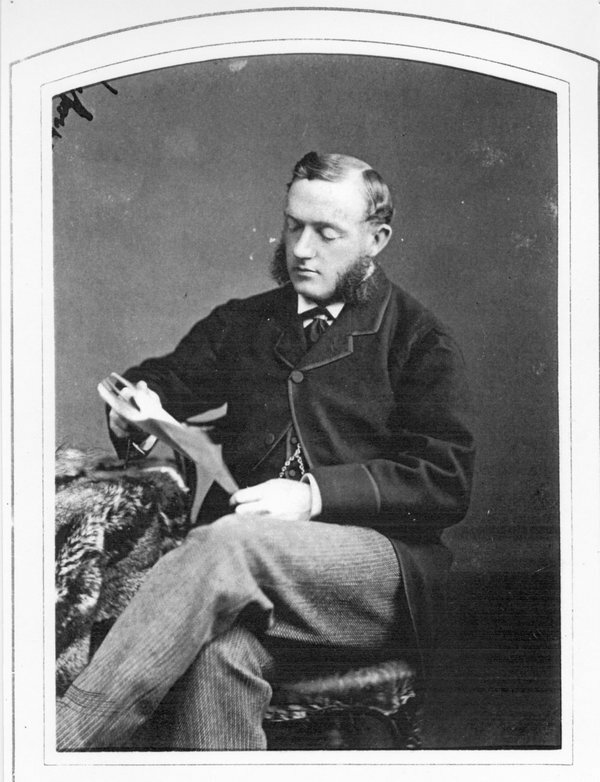 Lord Thomas Brassey and the men continued to the summit. Annie, who had found her splendid Victorian clothes unsuitable for such an adventure and her exhausted children found shelter from the sun under overhanging rocks. While the young ones slept, she took photographs. 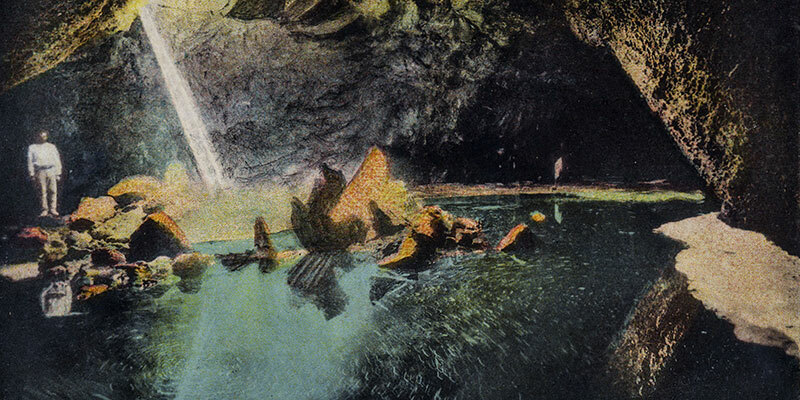 The guides who had not continued to the summit with her husband’s group returned with icy water from the cueva del hielo, the Ice Cave, a cavern in the volcano not far from Altavista. They returned to the Sunbeam in the early hours of the following morning, twenty nine hours after setting out on their expedition and not without accidents, falls and becoming separated from her husband and part of the team during the night descent. “We were too tired to do anything but go straight on board the yacht, where, after some supper and champagne, we were glad indeed to retire to out berths”. Lord and Lady Brassey had given out invitations for people to visit the Sunbeam and there was a constant flow of visitors, now and then having to be reprimanded for being too curious. The seas off the north coast are notoriously rough but it was noted how a good many very attractive and distinguished señoritas came aboard accompanied by young men carrying bowls, presumably in case of sea sickness. Many local inhabitants brought gifts and the decks were adorned with baskets of fruit and flowers from the glorious gardens in the Orotava Valley, although in the stifling humidity they barely lasted a day. Afternoon tea was a necessary and elegant ritual, either aboard the Sunbeam or in the gardens of aristocratic landowners like the Marquis de la Candia where they were shown coffee plantations. Conversation was considered a stylish and necessary art in those days and Lady Brassey gathered much of her knowledge at these comfortable meetings about local customs, of botanical aspects in Tenerife and indeed about the variable weather in the north of the island. She was most enthusiastic about the variety of flora in the Orotava Valley and wrote that the temperate climate contributed to the valley being a giant greenhouse where plants from all over the planet could flourish. Indeed the remarkable Botanical Gardens in Puerto de la Cruz, which were shown to the Brasseys by the curator, Herman Wildpret, were opened in 1788 specifically to acclimatise plants from the Spanish and other European colonies before introducing them to Europe. 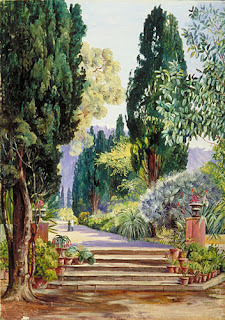 Of the garden of the Marquis of Sauzal Lady Brassey remarked on the remains of an enormous dragon tree, Dracaena draco and “hedges of myrtle, jasmine, clematis and flowers of every description in full bloom”. She was told that many landowners had been virtually ruined by disease affecting the vine industry, although historians now admit that part of the problem was due to European wine merchants being tempted by markets elsewhere. “Most of the large landed proprietors have left their estates to take care of themselves and the peasants, for the last few years, have been emigrating by hundreds to Caracas in Venezuela“. But the cochineal dye industry had been a success and coffee and tobacco were becoming alternative sources of wealth. Sunbeam sparkled in the sunlight of Tenerife for just four days and departed as suddenly and splendidly as she had arrived, in full sail along the northwest and under the majestic cliffs of Buenavista before disappearing southwest towards the Americas and Brazil. Sunbeam was the nickname of their daughter, Constantine Alberta, who had died aged five of scarlet fever. On her last voyage aboard the schooner, nine years after visiting Tenerife, Annie also died of a fever. It had been brought on by renewed attacks of malaria, a disease she fought with for many years. She was only 47 when she made her final entry into her journal. She died four days later and was buried at sea as Sunbeam circumnavigated Australia. Very interesting. Finding one flimsy dress to be too hot in Tenerife in October I can't imagine how unbearable it would be in Victorian garb in July!! Thank you, Belinda. Good to know someone reads my blog now and then! October was a bit warmer than usual this year. Bit cooler next week after the first rains of the season! You're welcome. Tenerife Forum put you in their best Tenerife blogs list, so you may get a few more readers! Your huge storm arrived the day after we returned to England. Thank you very much, Belinda. That's great news. When you come this way again look me up. 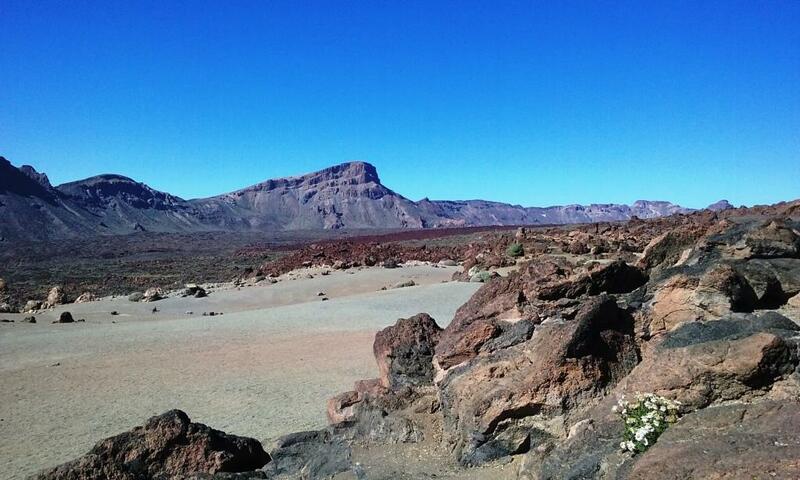 You can get me through Tenerife Private Tours, with no obligation whatsoever to do a tour!! Loved that island, thanks for sharing. Such a beautiful island it is.